Infigen Energy are seeking approval to build 16 wind turbines atop Cherry Tree Hill in Trawool, Victoria. Anti-wind farm lobbyists are an organised bunch. Whenever a wind farm project is proposed, anti-wind energy activists come to town with their traveling propaganda show and a bevy of blow ins. A few weeks ago, I attended my first such meeting. It was held in Trawool, some 15kms south east of Seymour, where Infigen Energy have proposed a 16 turbine, 50 megawatt wind farm for Cherry Tree Range. Seasoned anti-wind farm group the Australian Environment Foundation (originally established by the right-wing think tank, the Institute of Public Affairs) was prominent at the event—which I can report receives top marks for propaganda. The event featured photographs of wind turbines on fire without context; a well-produced video with melodramatic music and sound effects for maximum persuasion; and guest speakers who made spurious claims about the health impacts of wind farms. I recommend attending these meetings if you ever have the chance. If you have the confidence to ask a few questions or present good news stories about wind farms then you would be doing a service to communities who are the target of a scare campaign. On 29 August, I attended the public meeting about the proposed Cherry Tree Hill wind farm. Guest presenter, Max Rheese from the Australian Environment Foundation, discussed the alledged health impacts of wind farms. What Mr Rheese didn’t tell the local community members in attendance that night is that he’s also the Executive Director of the Australian Climate Science Coalition—a group well known for denying climate change. How can Mr Rheese be trusted on human health when he denies the consensus on climate change science and is prepared to withhold his affiliation with the ACSC? — Leigh Ewbank, Yes 2 Renewables community coordinator. It is inaccurate to suggest I “reject” Max Rheese’s analysis of wind energy due to his unscientific position on climate change. Mr Rheese’s account of the technical limitations and costs of wind energy can be dismissed due to the fact it is based on outdated data and cherry-picked quotes. Several times throughout his presentation, Rheese cited managing director of Origin Energy Grant King and wind energy costings to make the case that wind farms are uneconomic, but these were from 2006. The validity of an analysis based on quotes and figures from half-a-decade ago is highly questionable. 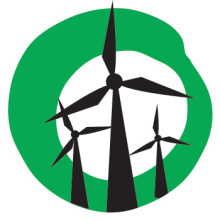 In 2006, the world’s installed wind energy capacity was 74,122 megawatts. In the following five years, global wind energy capacity grew 200+ percent to reach 239,000 megawatts. Such increases in technology deployment drive economies of scale and learning effects that result in cost reductions. A range of technologies—from automobiles to computers and smart phones—have experienced these cost-reducing forces, and wind energy is no different. The Australian Government’s Bureau of Resources and Energy Economics’ Australian Energy Technology Assessment 2012 anticipates wind to be the cheapest form of energy in Australia by 2020. “By the end of this decade,” writes Andrew Bray of 100% Renewables, “[BREE] estimates that onshore wind will be the cheapest source of energy we have. At an average cost of $90 per megawatt-hour (MWh) and in some cases as cheap as $60/MWh it will be cheaper than coal and cheaper than gas.” Mr Rheese’s costings for wind energy are at odds with BREE’s authoritative report. Turning now the the alleged health impacts of wind farms. The comment on the National Health and Medical Research Council follows a familiar pattern. Anti-wind campaigners often seem prepared to exploit the scientific method for their own political interests. It’s normal for science communicators to avoid categorically ruling out a possibility. In this case, it’s the possibility of wind turbines causing health problems. This, of course, does not mean the NHMRC endorses the idea wind farms have adverse health impacts. On this matter, Professor of Public Health Simon Chapman argues that “wind turbine syndrome” is a “communicated disease.” “[WTS] spreads via the nocebo effect by being talked about,” writes Chapman, “and is thereby a strong candidate for being defined as a psychogenic condition.” On this basis, the fear mongering of anti-wind energy campaigners might be the real culprit behind health impacts experienced by some individuals. (Lastly, unless the author knows something I don’t I can assure you it’s Mr Leigh Ewbank – J). Next Next post: Wind power: why is South Australia so successful?